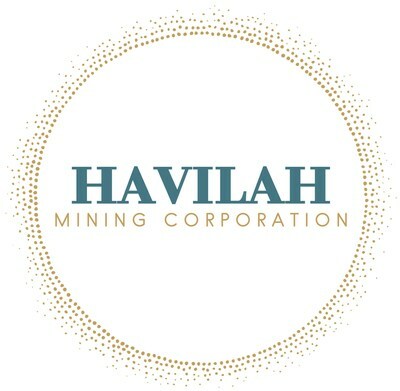 TORONTO, March 4, 2019 /CNW/ - Havilah Mining Corporation ("Havilah" or the "Company") (TSXV: HMC) is pleased to provide an exploration update for its properties in the Rice Lake greenstone belt of southeastern Manitoba. Havilah continues to make significant progress towards the 2019 field season in a number of key areas. The Company recently completed ground-staking of 11,150 hectares, thus increasing its total land position in the belt to more than 53,000 hectares. This strategic acquisition provides the Company with a dominant and continuous land position along and adjacent to the crustal-scale Wanipigow Fault, over a total strike length of 80 kilometres. Major gold occurrences in the Rice Lake belt, including the True North mine at Bissett, Manitoba, which has produced approximately 2 million ounces of gold, are associated with structures that splay off this regional 'break'. The newly acquired ground provides an unprecedented opportunity to explore this fault system at a district scale. Concurrently, the Company has contracted EarthEx Geophysical Solutions Inc. to compile, level and merge high-resolution aeromagnetic datasets acquired by previous operators. This data will facilitate geological mapping and compilation of the district at scales suitable for the definition of project-scale targets. As part of this initiative, the Company has also entered into a contract with Geotech Ltd. to acquire new high-resolution aeromagnetic data over two key, historically underexplored areas totalling roughly 21,500 hectares at the lateral extents of the Rice Lake belt. This helicopter-borne survey will consist of 4,733 line-kilometres flown at a spacing of 50 metres, with a terrain clearance of 30 metres. The results will complete a seamless aeromagnetic dataset over the entire exposed length of the Wanipigow Fault in Manitoba, and thus facilitate geological mapping, structural analysis and target generation. Data acquisition is expected to be completed early in the second quarter 2019. Havilah exploration personnel are currently compiling and digitizing historical data in advance of a summer 2019 field exploration program planned to include prospecting, bedrock mapping and surficial geochemistry in areas of structural complexity identified through the use of high-resolution LiDAR imagery and historical mapping. Dr. Scott Anderson, Vice President, Exploration, commented, "We are extremely excited about this opportunity to systematically explore the Rice Lake greenstone belt at a district scale, using state-of-the-art exploration methodologies and a scientifically rigorous understanding of the local to regional controls on gold mineralization. Our ongoing consolidation of the land position in this historically fragmented district allows Havilah to explore at a scale and scope unavailable to previous operators. We are currently building our exploration team and putting in place the foundational blocks for a successful exploration campaign". The Company is also pleased to announce that it has negotiated the settlement of $30,000 related to historical accounts payable for a third-party consultant to Bison Gold Resources Inc. (a subsidiary of the Company) in consideration for the issuance of 100,000 common shares of the Company at a deemed price of $0.30 per common share. The debt settlement is subject to receipt of all required regulatory approvals, including the approval of the TSX Venture Exchange. The common shares issued pursuant to the debt settlement will be subject to a statutory hold period which will expire four months and one day from the date of closing of the debt settlement. Dr. Scott Anderson, Ph.D., P.Geo., is the Qualified Person as defined by NI 43-101 who has reviewed and approved the contents of this news release. Dr. Scott Anderson is also a Competent Person (as defined in the JORC Code, 2012 edition) who is a practicing member of Engineers Geoscientists Manitoba (being a 'Recognised Professional Organisation' for the purposes of the ASX Listing Rules). Dr. Scott Anderson is employed on a full-time basis as Vice President, Exploration of the Company. Forward-looking statements involve known and unknown risks, future events, conditions, uncertainties and other factors which may cause the actual results, performance or achievements to be materially different from any future results, prediction, projection, forecast, performance or achievements expressed or implied by the forward-looking statements. All statements that address expectations or projections about the future, including, but not limited to, statements about exploration plans and the timing and results thereof, the proposed debt settlement and contemplated approvals of the TSX Venture Exchange, are forward-looking statements. Although Havilah has attempted to identify important factors that could cause actual actions, events or results to differ materially from those described in forward-looking statements, there may be other factors that cause actions, events or results not to be as anticipated, estimated or intended. There can be no assurance that forward-looking statements will prove to be accurate, as actual results and future events could differ materially from those anticipated in such statements. Accordingly, readers should not place undue reliance on forward-looking statements.